ST. GEORGE — Here are the results from Friday’s Region 9 matchups. 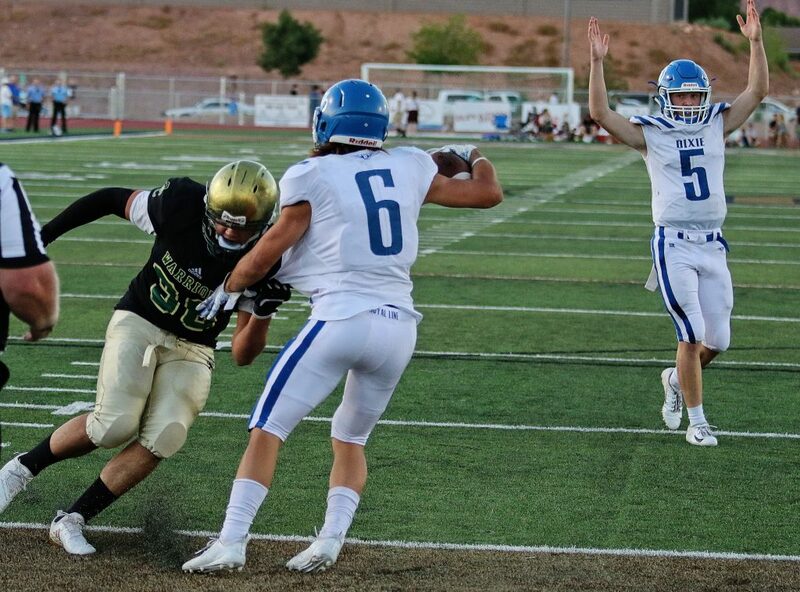 After opening Region 9 play last week with a win, Dixie improved to 4-1 overall, 2-0 in region play with a close victory over Snow Canyon (1-4, 0-2). The Flyers got on the board first at the 12-minute mark of the second quarter when running back Westin Banuelos punched it into the end zone from two yards out, giving Dixie a 7-0 lead. After taking the lead into halftime, Dixie added another score at the 5:36 point in the third quarter via another Banuelos run, this time from 13 yards out. After a missed extra point, the Flyers led 13-0. Snow Canyon cut the deficit to 13-7 at the end of the third quarter when Landon Frei threw a 35-yard touchdown pass to Austin Anderson. The Warriors weren’t able to muster a comeback though, throwing four straight incompletions to end the game on the Dixie 11-yard line. The Flyers dominated the ground game, rushing for 197 yards, compared to just 66 for the Warriors. 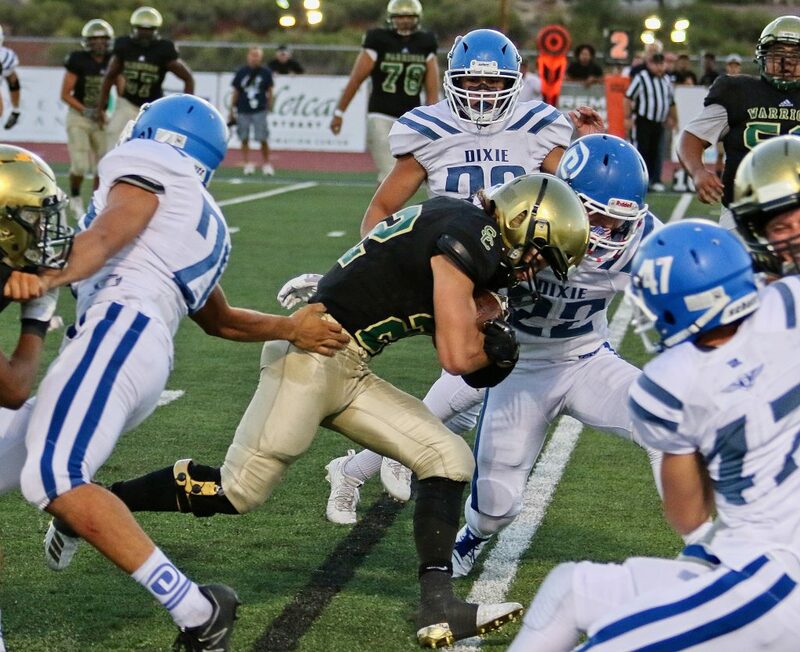 Banuelos led the Dixie rushing attack, gaining 172 yards on 20 carries, scoring twice. The Warriors were led through the air by Landon Frei, who was 14-for-31 passing for 140 yards, throwing a touchdown and an interception. 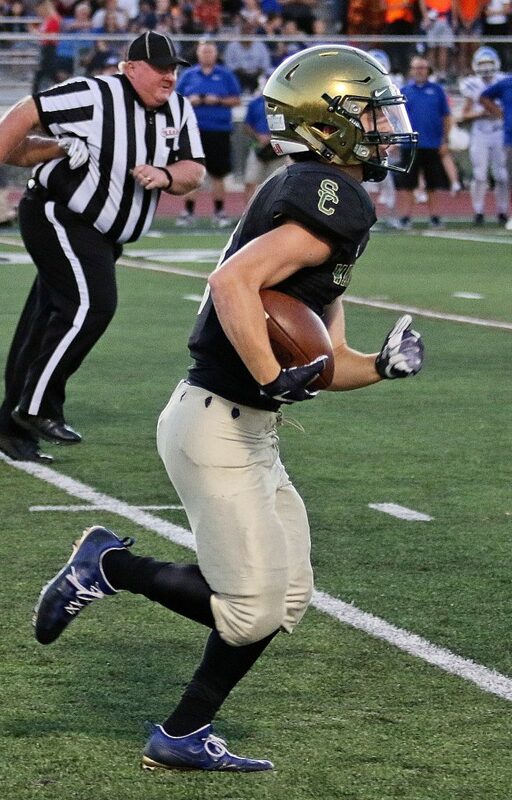 Snow Canyon takes on Pine View on the road Friday, with kickoff slated for 7 p.m.
Dixie has a bye week before taking on the Panthers on Friday, Sept. 28, at 7 p.m., looking to continue their unbeaten run to start region play. 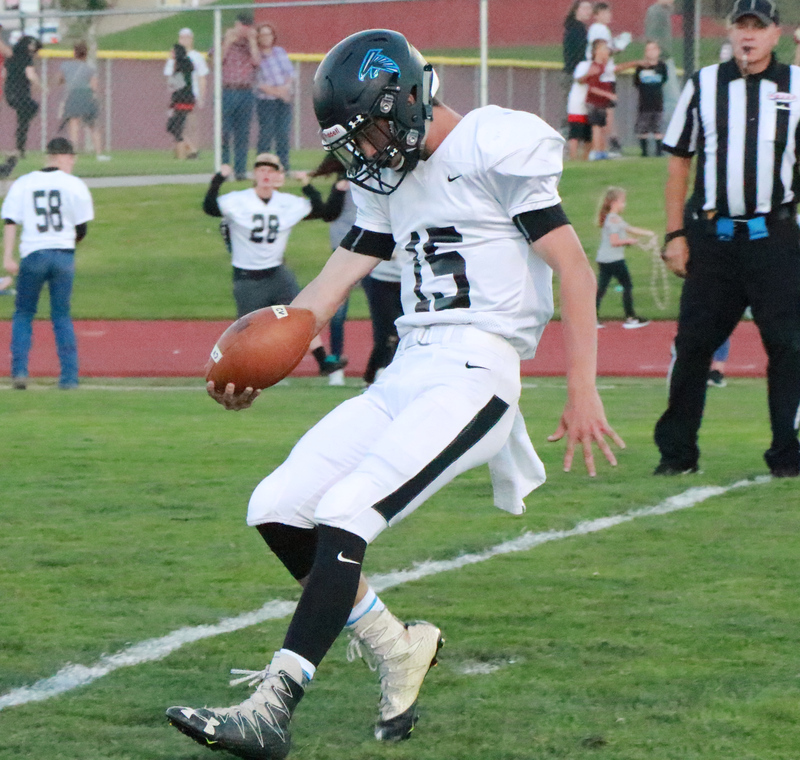 The visiting Falcons spoiled Cedar’s homecoming with a 27-14 victory over their cross-town rivals. After scoring on its first possession, Canyon View went on to lead much of the game, although the Redmen did tie the score late in the first period and were later able to trim the deficit to six points late in the third quarter. The Falcons were able to make a couple of key stops in the fourth quarter, when they added one more TD to put the game away. It marked only the second time in more than a decade that the Falcons had beaten the Redmen, the other one being a 42-41 thriller in 2015. First-year Canyon View head coach Chris Sawyers said he hoped his team would be able to bounce back after suffering a 70-26 blowout loss at home last week to Pine View. Canyon View’s first scoring drive ended with a 22-yard rushing TD by Hunter Talbot. The ensuing PAT attempt was good, and the Falcons owned a 7-0 lead with 9:22 left in the first. Cedar managed to advance the ball to the Falcons’ 7-yard-line on its next possession, but fumbled the ball away on second down and goal. It was the first of a handful of inopportune miscues by the Redmen. Still, Cedar managed to get on the board late in the first quarter with a 1-yard TD run by running back Drake Fakahua. Zane Montgomery’s extra point tied the game 7-7. Midway through the second quarter, Canyon View quarterback Colten Shumway broke loose for a 31-yard scoring run. The PAT attempt went wide left, however, leaving the Falcons up 13-7. Cedar’s next possession ended on a fumble, but the Redmen quickly got the ball back, thanks to an interception by Tyler Robinson. 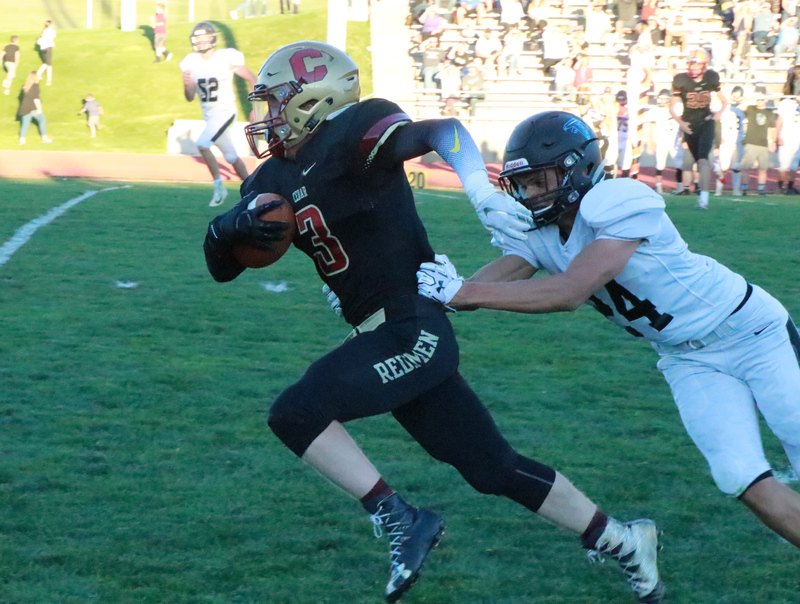 The Redmen weren’t able to advance the ball, however, and Canyon View took over on their own 35-yard-line with 1:38 left in the second quarter. The Falcons managed to drive the ball the length of the field, making a key fourth-down conversion along the way, and score with just 10 seconds left before halftime. 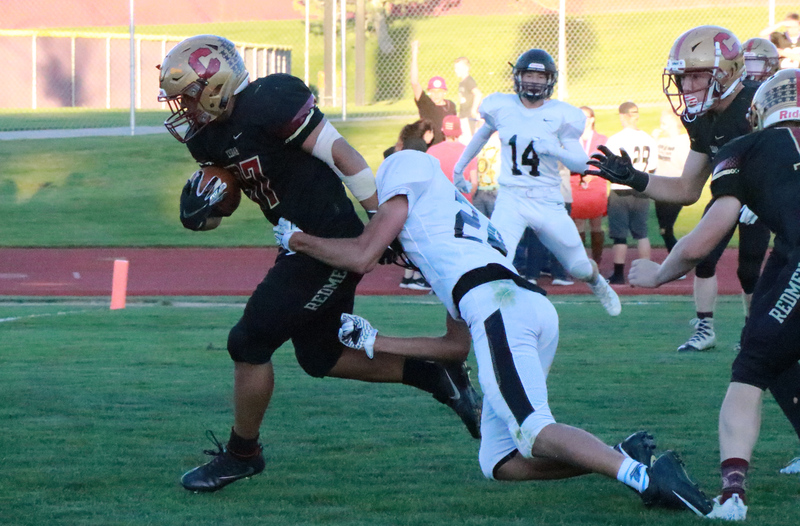 Shumway connected with Brayden Lowry in the end zone for a 12-yard TD pass, and the Falcons had a 20-7 halftime lead. “We did a good job of controlling the ball and then scoring at the end of the half was huge,” Sawyers noted. Early in the third quarter, the Redmen appeared to score on a reverse handoff to Kolbe Meek that seemingly resulted in a 76-yard TD, but the play was called back by the officials due to an illegal holding penalty. Cedar ended up punting the ball away, but were able to score again in the final minute of the third quarter, as Fakahua barrelled his way into the end zone from four yards out for his second rushing TD. Heading into the fourth quarter, the Falcons led 20-14. Both teams struggled to advance the ball, however, and the first few possessions ended in punts. Cedar took over at midfield with just over 5 minutes left, but fumbled the ball away two plays later. 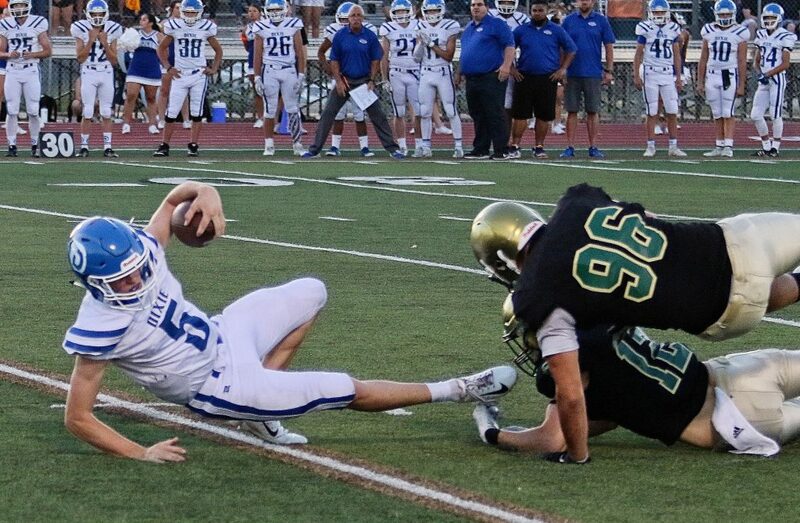 Shortly thereafter, on second down and 15 and following a time out, Shumway bolted up the middle for a 62-yard TD that effectively put the game out of reach with just over three minutes left. Sawyers had high praise for his quarterback’s performance. Cedar threw four straight incomplete passes on its last possession, after which the Falcons ran out the clock to end the game. Exuberant Canyon View fans joined the players and coaches on the field after the game, as the coveted “Pick” trophy (a life-size pickaxe mounted on a stand) was awarded to the Falcons. Cedar (0-2 in region, 2-3 overall) plays at Desert Hills next Friday, while Canyon View (1-1, 2-3) visits Hurricane that same night. 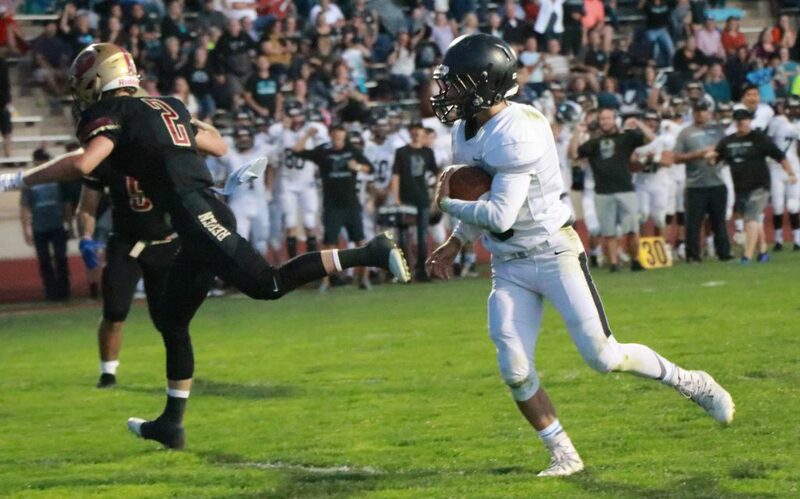 At Hurricane, Desert Hills scored early and often, racking up six TDs in the first half alone. Quarterback Logan Wilstead threw six TD passes, including three in a row to fellow junior Jace Mortensen during the second quarter. The mercy rule kept the clock running during the second half, but the Thunder managed to tack on one more TD and a field goal to account for the final score. Desert Hills improved to 2-0 in region play, 3-2 overall. The Thunder host Cedar next week. Hurricane fell to 0-1 in region, 0-4 overall with the loss. The Tigers host Canyon View next Friday.